A scenic saline marsh in the North Wells region of Grand Turk. These shallow wells provided a source of brackish water to livestock. The exact age of them is unknown, but construction style and stone decay suggest that they were built around the early to mid-1800s. This low-lying and swampy North Wells area is found on the northeast end of Grand Turk and is bordered on its east side by the inland lagoon of North Creek. One of the more sparsely populated areas on the island, this location is favoured by Grand Turk’s feral donkeys. North Wells gets its name from the old large diameter shallow wells that were constructed to water livestock. These wells are still lined with giant limestone blocks that were installed during the salt industry days. A similar set of wells is located at South Wells. In the past, the wells provided drinking, cooking and bathing water for some parts of Cockburn Town and Over Back. Today, high salinity and phosphate and coliform contamination render the water unusable for the most part. As is almost the universal case throughout the Turks and Caicos, reverse osmosis now produces the potable water for Grand Turk. During surveys conducted by the British Institute of Geological Sciences in 1971, probably while some of the wells were still being used, it was found that the salinity of the various wells in the region varied from about 3,000 to 11,000 part per million chlorides (salt) – far too salty by today’s standards even for landscaping irrigation. When compared with the one of the best water lenses in the Turks and Caicos at Kew on North Caicos, where a far thicker lens exhibited a salinity of 178 ppm of salt, it’s no wonder why agriculture never experienced much success on Grand Turk! The two best areas for birdwatching on Grand Turk are the northeast region of North Wells and the largely inaccessible wetlands between Hawkes Nest and Matersons Point. In the tidal transitional zone between North Creek and North Wells, it’s possible to spot egrets, herons, sanderlings, plovers and occasionally mangrove cuckoos. Inside the ponds, gulls, terns, and flamingos can be seen. The former salt producing islands of Grand Turk, Salt Cay and South Caicos offer a mixed situation when it comes to bird photography. The larger and western Caicos Islands have extensive and pristine wetlands and ponds, teeming with birds. 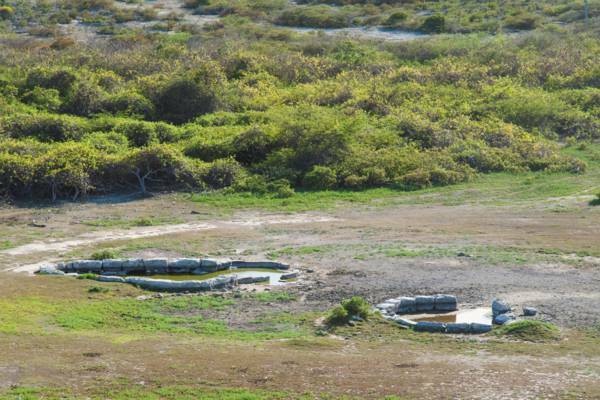 However, due to the developed and cleared salinas, it’s typically easier to find access into the ponds and wetlands on the smaller salt islands of Grand Turk and South Caicos. In addition, the wildlife tends to be far more approachable. In the case of flamingos, by far the largest numbers in the country are found at Lake Catherine on West Caicos and Flamingo Pond on North Caicos, however, it’s almost impossible to closely approach the flamingos at these sites.